S31E00 – Draft Day! – Outwit. Outplay. Outcast. From the audio-ashes of last week’s… learning experience …we properly produce a real episode that isn’t recorded through 8-year old speakers! Andy re-explains Fantasy Survivor for the benefit of anyone who forgot during the off-season, then we draft our starting teams. Not one but TWO side-bets are made, putting points on the line before we even have points with which to wager. We’ll see you next week for the official start of Survivor: Cambodia! 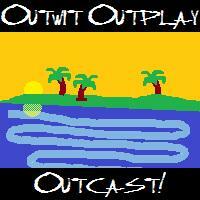 Previous Previous post: Outwit, Outplay, Outcast Summer Special!